The news was confirmed in a statement on Tork's official Facebook page, which read, "It is with beyond-heavy and broken hearts that we share the devastating news that our friend, mentor, teacher, and amazing soul, Peter Tork, has passed from this world. "We want to thank each and every one of you for your love, dedication and support of our “boss.” Having you in our world has meant so very much to all of us. Please know that Peter was extremely appreciative of you, his Torkees, and one of his deepest joys was to be out in front of you, playing his music, and seeing you enjoy what he had to share. We send blessings and thoughts of comfort to you all, with much gratitude." Fellow Monkee Mickey Dolenz tweeted, "There are no words right now... heart broken over the loss of my Monkee brother, Peter Tork." 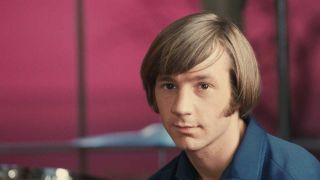 Beach Boys leader Brian Wilson said, "I’m sad to hear about Peter Tork passing. I thought The Monkees were great and Peter will be missed. Love & mercy to Peter’s family, friends and fans." Tork was born in Washington, D.C. in 1942, learning the piano as a child before moving to New York in the early 1960s, where he became part of the Greenwich Village folk scene. He auditioned for The Monkees TV show in late 1965 after close friend Stephen Stills recommended him to the producers, becoming the final musician to join the cast. Amongst his contributions was For Pete's Sake, the show's closing theme, although the band were widely criticised for not playing on their first two albums. "We found a way to play The Monkees’ music on our own," Tork told Las Vegas Weekly in 2016. "We were sort of a cover band for The Monkees is what it came down to. It was kind of funny. We were on the road, and somebody bought a copy of the second album and brought it across the street to the hotel where we were. There we were, looking at this album, and we had never heard it through. I’d never heard some of the cuts." Tork left the band at the end of 1968, citing exhaustion, but rejoined in time for the band's 20th anniversary tour in 1986, and played on the band's 1996 album Justus. In 2001 they toured again, but Tork was fired by fellow Monkees Micky Dolenz and Davy Jones. Ten years later they tried again, playing 43 shows before the tour was cancelled. In 2012 he was given the all-clear after being diagnosed with a rare form of tongue cancer three years earlier, telling UKMusicReviews, "They carved it out of me and I have recovered solely from all of that. However it still requires attention on a regular basis; it doesn’t interfere terribly but that’s life. "What I am trying to say is that I am as well as could be hoped for, life goes on like this. In fact I have to say that I am an extraordinarily well favoured human on the face of the earth and I am very grateful for that."